Modern and beautiful, this set of candlesticks will surely take center stage on your Shabbat table! 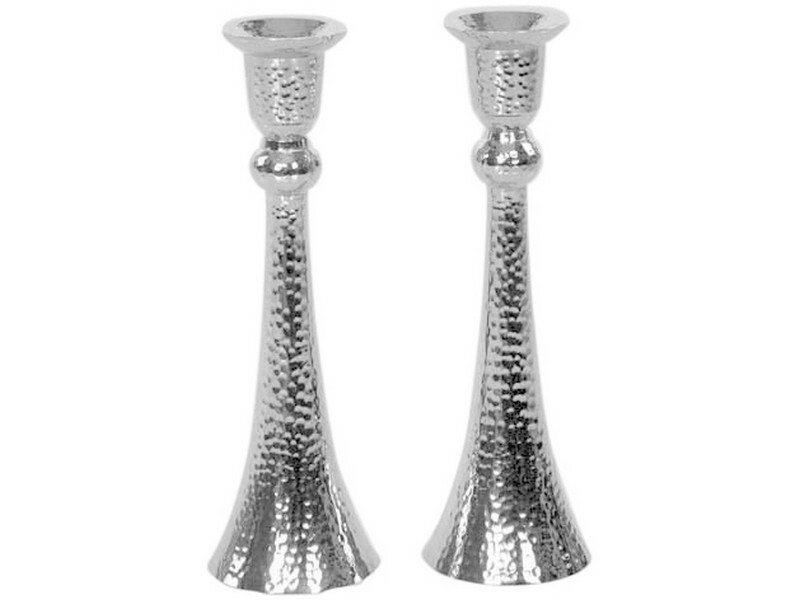 Crafted from nickel, these candlesticks are designed with a hammered finish. Shaped as one piece, candlestick widens at its base and has a ball between the cup and stick. Candlesticks are suitable to be used with standard sized wax candles as well as glass holders.